Grainger Industrial Supply lives up to its name as a leading distributor of equipment and supplies for industrial needs. From adhesives to welders, Grainger offers nearly a million products that are available online and in their catalog. When using their online store, you can browse by your favorite brand, price or customer rating. The website has an easy bulk ordering feature, and you can save time by ordering online and picking up at your local branch. Can't find the product you need? Don't worry, Grainger's customer service can help you track it down. Regardless of buying in store or online, purchasing products from Grainger ensures a gold standard: services like auto-reorder, repair and replacement coverage and paperless invoicing makes running your business a breeze. The company also offers comprehensive 24-hour emergency services for customers. 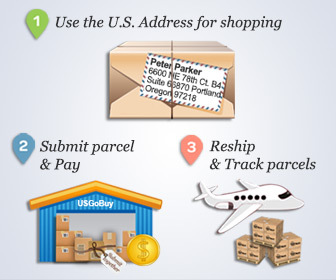 Even if you are outside of the United States, Grainger can still offer you solutions for your business. Local branches and export centers are stationed around the world in all major regions. Sales representatives have extensive knowledge of products and services, helping customers choose the best products. Hailed as one of the largest e-retailers in the U.S. and Canada, Grainger is consistently chosen by customers for industrial supply needs.